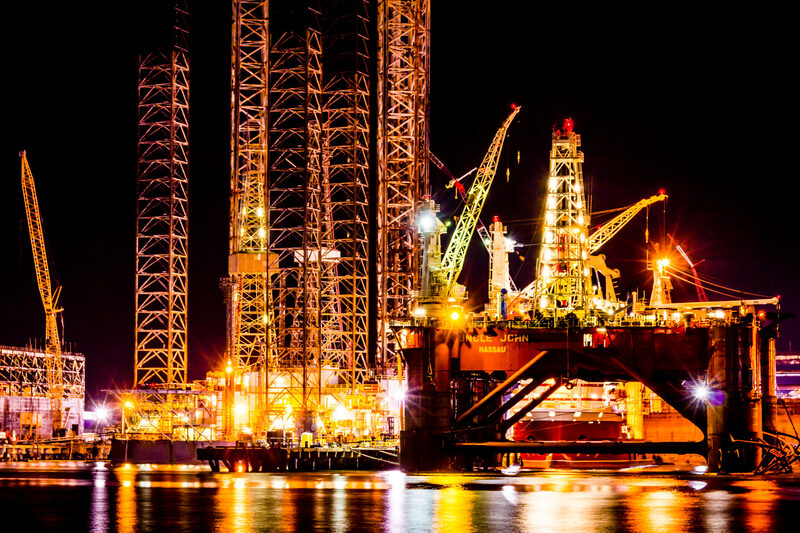 Oil platforms in drydock at Pelican Island, Galveston, Texas. 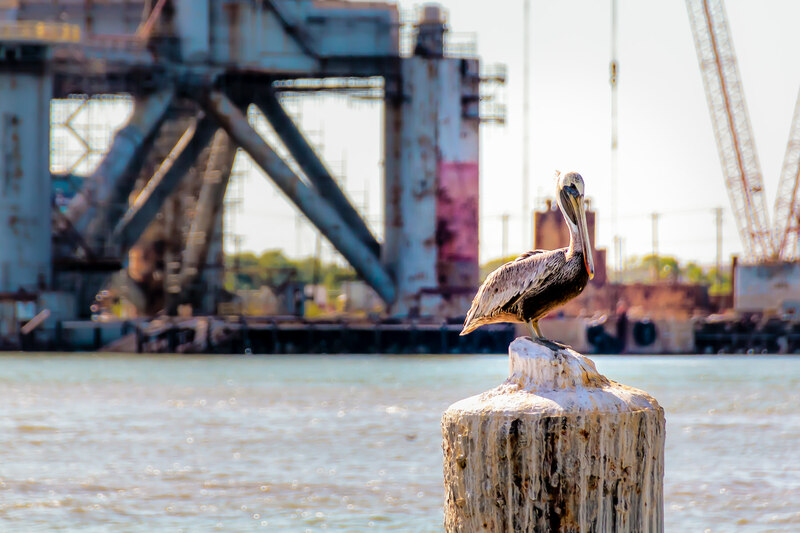 A pelican alights on a piling in Galveston Harbor as an oil platform in a dry dock looms behind him. 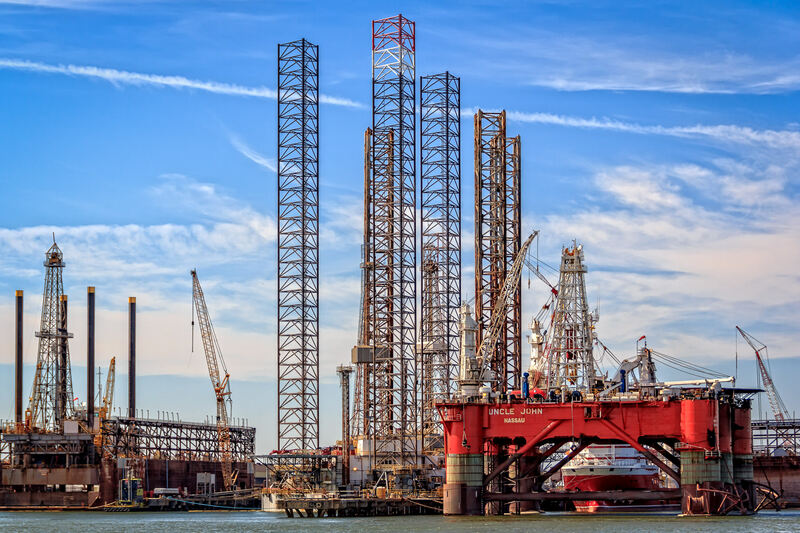 Offshore oil platforms in graving docks at Pelican Island, Galveston, Texas.